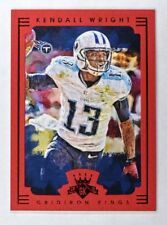 2016 Panini Score Football Base Card Singles - You Choose!! 2013 TOPPS ARCHIVES NFL FOOTBALL ( STARS, HOF ) - WHO DO YOU NEED!!! 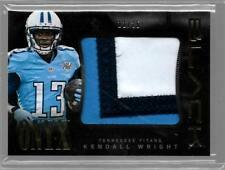 "KENDALL WRIGHT" card # 125. Card is vntm. KENDALL WRIGHT NATIONAL TREASURES AUTO #5/10. Shipped with USPS First Class Package. 2012 SCORE KENDALL WRIGHT ROOKIE CARD, CARD # 342.